Went and saw Star Wars last night and it was a fantastic movie! I think even Stewie will like it, and we all know how picky he is! But seriously, go watch the movie before someone spoils it for you. It's worth seeing blind, and not knowing the plot details. Awesome, thanks for the heads up! I've been trying to avoid any reviews so I can get the virgin (heh) experience. Here's another vote for Star Wars. Meredith and I saw it yesterday and it was quite entertaining. Some moments felt a bit overly rehashed, but the action was fantastic and the new characters seem like they'll develop nicely. Stewie, have you seen it yet? Why can't JJ treat Star Trek with this care?! Good leads, finally a female lead that doesn't "act like a man", and agreed with a rehashed plot device. Even if you call it out in the movie, that doesn't make it tongue in cheek. There could be some plot holes and some missed characters - however, this movie won the prize of me holding out for another 4 years if I can complain about them because this doesn't spoon feed you every single bit of info like the Prequels did. There are certain things left unsaid/unknown. I enjoyed it...but I feel like Indiana Jones in Raiders having to balance on the cracks to not get shot with poison arrows...I was waiting the the suckage, and I still don't know if something bad might come. I was waiting the the suckage, and I still don't know if something bad might come. That will come in the Super Special Ultra Extended Edition Blu-Ray, featuring a deleted scene in which we find out that Han Solo was secretly a wookie. I am in Japan with Mere this week, hence the scarcity of posts, but this was totally worth poting. Nvidia has announced the GeForce 1070 and 1080 cards, launching in 3-5 weeks. The specs sound amazing, but it is all marketing for the moment! Did you go for Golden Week? We were there for Golden Week, but that wasn't intentional. We traveled with several friends, and this one week just happened to line up for everyone. We were also able to find ridiculously cheap airfare (e.g. $750 instead of $1,500-$2,000 per person). It was a bit of an impulsive trip with ~6 weeks of planning instead of the usual 6-9 months. We just got home a couple hours ago and I'm jet lagged to hell and back. I've got a bunch of crazy pics to sort through and I'll get some up this week! Welcome back! So happy that you two got to take the trip. My buddy always said going to japan during Golden Week was a horrible idea lol. Maybe thats why your airfare was cheap! It really depends on what you want to do while you're in Japan. If you're planning on going to tourist spots like Disney Sea or the the Skytree, it's a not a great idea. If you're planning on shopping, visiting festivals, etc. you'll have a lot more variety and some awesome sales during Golden Week. That said, were it not for the amazing airfare, I would probably avoid traveling during Golden Week. The crowds were definitely intense at times (especially Harajuku), and that's not really my cup of tea. 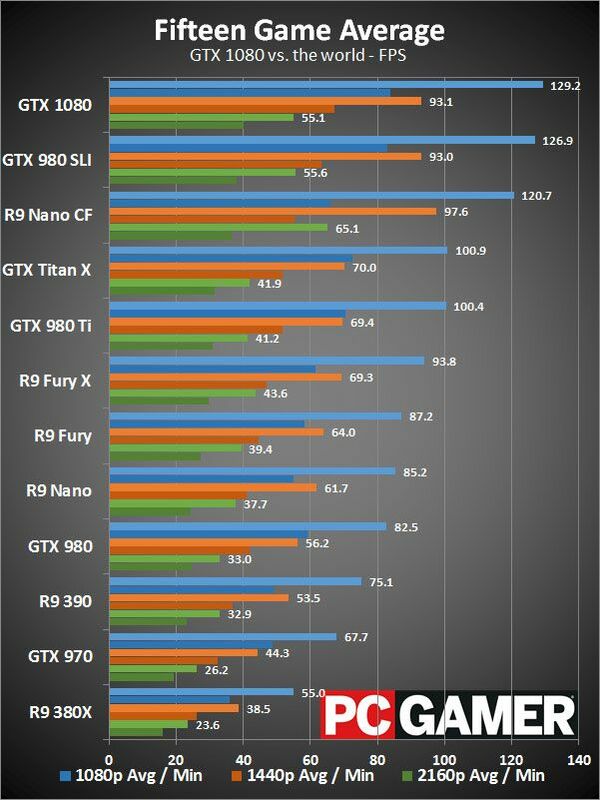 The GTX 1080 is outperforming two GTX 980s in SLI. It's pretty crazy to get that kind of performance jump in a single generation. The 1080 goes on sale next Friday, and I think I'm going to order one. Here's another (really freakin' good) trailer for Star Wars: Rogue One. I can't wait to see this! When you go to CES next week, steal me one of these please!